The FSP136A Analog Flame Meter is an optimal support tool for maintenance and troubleshooting. 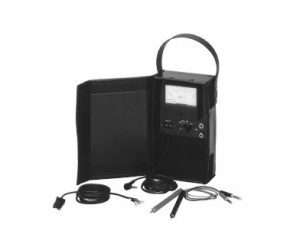 This analog flame meter is used for measuring the flame voltage or flame current of combustion safety equipment. In addition, the flame current level can be easily recorded by connecting the recorder jack.